Event Description : FEST : Sangeet Shyamala presents "Vasant International Arts Festival" A festival of Arts. The festival will have some amazing Kathak, Bharatnatyam and music performances exclusively for the local residents of Vasant Vihar. Event will see performances by Durga Arya (Kathak), Anwesa Mahanta (Sattriya), Ashok Jain (Special Talk), Ranita Dey(Vocal Recital) and Rama Vaidyanathan(Bharatnatyam). Sangeet Shymala believes in ideals of a versatile cultural education hence this multi-disciplinary space creates, nurtures and promotes the fine arts with a vision to enlighten young creative minds, that are fresh and receptive to an artistic awakening. Sangeet Shyamala was registered in Delhi in 1974 Its Honorary Founder Director was the late Smt. Som Tewari. In 1984, Sangeet Shyamala was allotted half an acre of land in Vasant Vihar, where a full-fledged cultural centre has been built, complete with classrooms, studios, Surrendra Paul art gallery, Som Manch open-air auditorium, and the One Up Children's Library, which is our partner in many literary and arts ventures. Sangeet Shyamala is headed by Vasundhara Tewari Broota who is its acting Director and an artist in her own right with many national and international art exhibitions to her name. She is a teacher at Sangeet Shyamala and holds art classes for children and adults at the centre. Smt Chetna Jalan,an eminent Kathak dancer and theatre actor heads the performing arts section. She has presented several shows on Kathak, Bharatnatyam and Contemporary Dance Styles with children and young adults as also with seasoned exponents in the field. 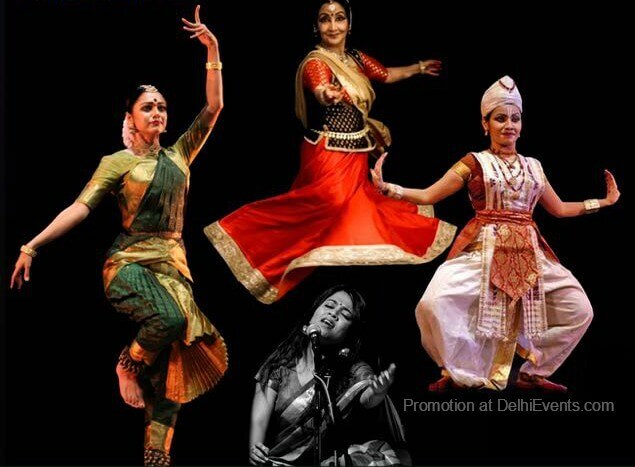 Sangeet Shyamala has a roster of well known teachers in the Visual and Performaning arts.